If you’ve got a broken LG phone, don’t panic. We can help. At Alpha Omega Tech Repairs, we offer fast service, quality LG phone repairs, and the best customer service in Corpus Christi. 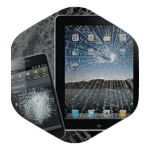 Some of the most common LG cell phone repair requests we get are for screen repair or replacement. Whether you need LG G2 Screen repair, Stylo 2 Screen Replacement, or any of the other models, we can fix it. We can also fix a host of other LG phone repairs. If we have the parts you need in stock, we can fix most phones the same day that you bring them in. We have most of the common parts in stock, but if we don’t have the exact part you need, we will order the part for you and let you know as soon as it arrives. Our pricing is simple, we offer a flat fee for any given device, and then add the price of the part and shipping costs to that. We don’t have hidden costs or fees, just honest, low prices. We think our prices are great and try to keep them as low as we can, but maybe you’ve found a lower price elsewhere and you’re wondering why you should choose Alpha Omega Tech Repairs. We offer the friendliest customer service and high quality repairs. We’re not here just to make a buck. We care about our customers and seek to provide the best experience and the best repairs. Our customers agree, and we are humbled to be one of the highest rated cell phone repair shops in Corpus Christi. A cheap repair isn’t worth paying twice and dealing with twice the frustration. We also offer discounts to Students, and veterans, and EMS/police/fire with valid IDs.